Innovate the Office with Daisy Chain. With daisy chain compatibility and a sleek, modern design, bring improved style and work performance to any office. Working on a laptop or small monitor can be cumbersome due to the small screen size which limits the amount of applications that can be used simultaneously. 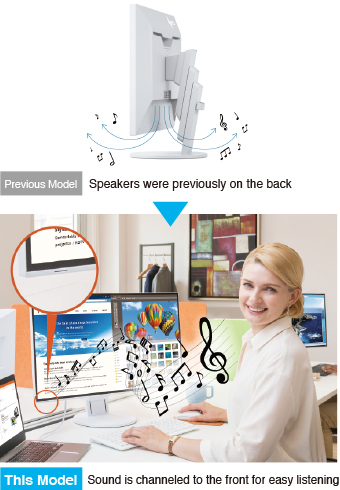 With daisy chain compatibility, even a laptop or mini PC with only one output terminal can be connected to up to four monitors. With over triple the work space, more applications can be used simultaneously for improved work efficiency. Typically multi-monitor environments are an eye-sore, cluttered with messy cables and overbearing monitors. 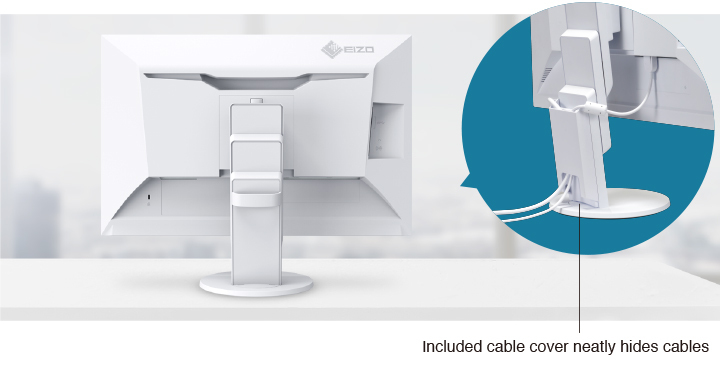 The EV2457 offers a clean and sophisticated solution, allowing two to four monitors to be neatly installed for improved efficiency. With daisy chain, multiple monitors can be connected with several short cables (such as the PP100) between monitors rather than connecting multiple long cables connected to the PC. This allows for easy cable management, reducing clutter from on and behind the desk. Sometimes it's confusing knowing whether or not daisy chain is compatible with your system. 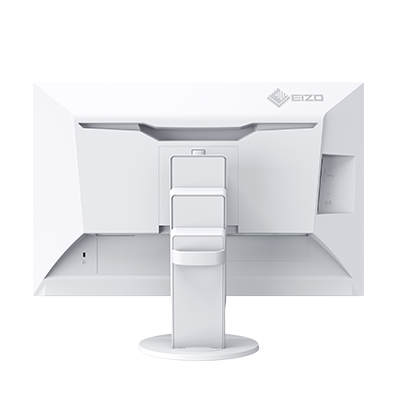 For buyer confidence, EIZO tests current PCs on the market to ensure they are compatible with daisy chain and the EV2457. 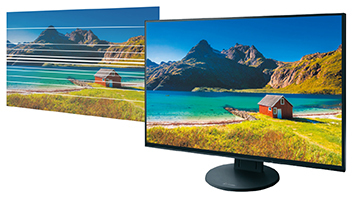 Each monitor has four USB 3.1 Type-A ports, with 5V power supply, for connecting peripheral devices such as a mouse, keyboard and/or headset. This is ideal for conveniently connecting frequently used devices at hands-reach. 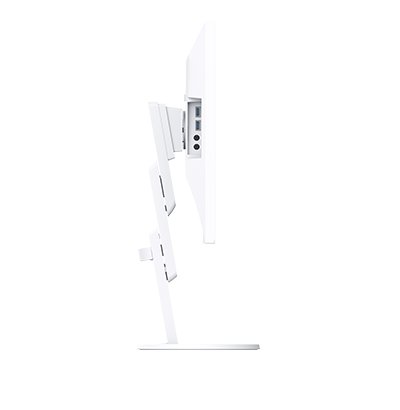 The EV2457 comes with a white cabinet option with matching cables. Compared to black, white monitors offer a refreshing change that brightens the office with style. 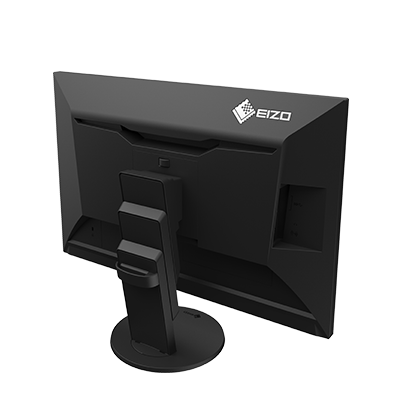 The EV2457 comes with EIZO's four-sided frameless and fully flat bezel design, featuring super thin bezels that are flush with the screen. 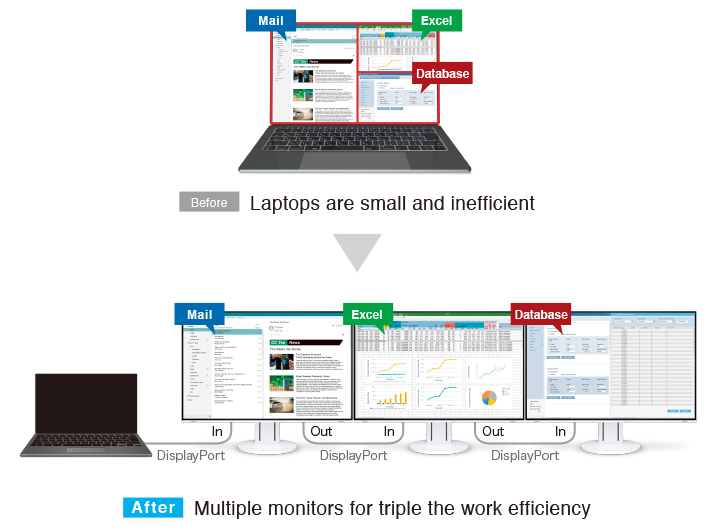 When using multiple monitors, the distance between screens is miniscule, allowing for more space on the desk and minimal distractions when working across multiple screens. 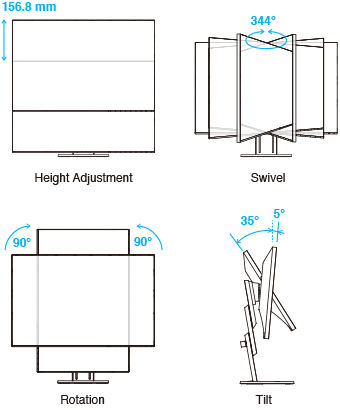 Furthermore with the white cabinet option, the presence of the bezels is barely noticeable. 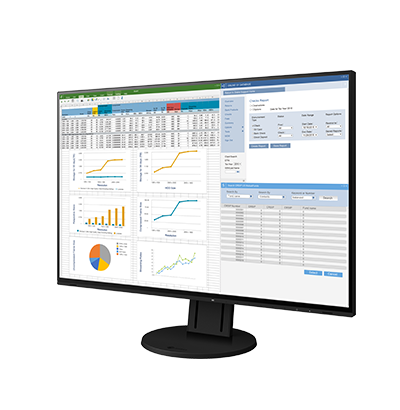 Controlling the power and screen settings of monitors in a multi-monitor environment can be time consuming and cumbersome. 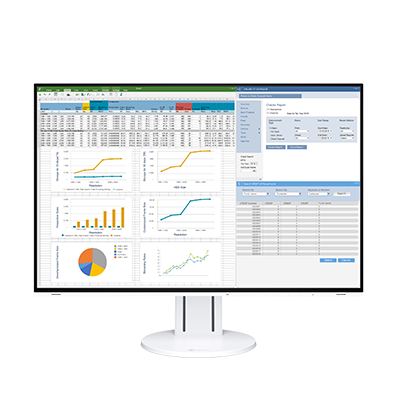 With the free software Screen InStyle, the power and screen settings of all connected monitors can be adjusted at once for quick and easy management. Screen InStyle also comes with many additional features such as automatically changing the color mode depending on the application currently open, changing the amount of blue light as the day progresses, and batch management functions for administrators. The EV2457 is equipped with functions to help prevent eye fatigue, so you can concentrate on work throughout the day without tiring. 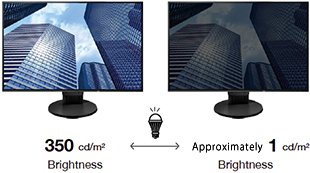 The monitor uses an LED-backlit IPS (in-plane switching) LCD panel with 178° viewing angle that minimizes color shift and contrast changes when viewing the screen at an angle. 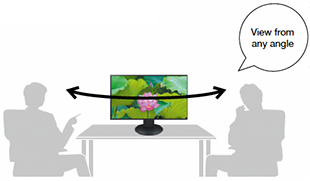 This means that two people sitting at the one computer can easily see the screen with high image quality. 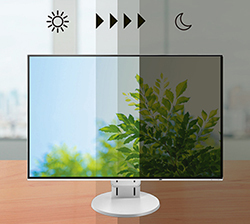 Due to the way brightness is controlled on LED backlights, a small number of people perceive flicker on their screen which causes eye fatigue. 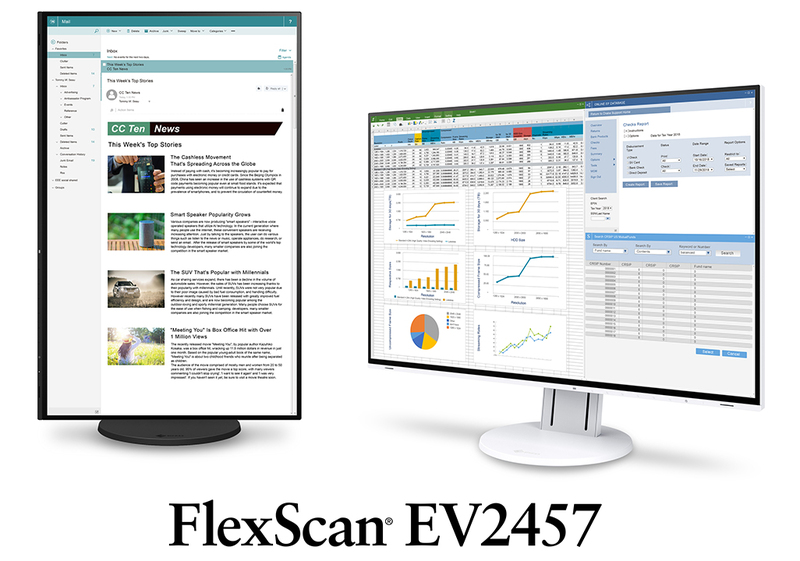 The FlexScan EV2457 utilizes a hybrid solution to regulate brightness and make flicker unperceivable without any drawbacks like compromising color stability – even on low brightness settings. The EV2457 has speakers that channel through the minimalist front bezel, ensuring that sound is focused on the user and not on people behind the monitor. FlexScan monitors are certified by TÜV Rheinland to have low blue light and be flicker-free. 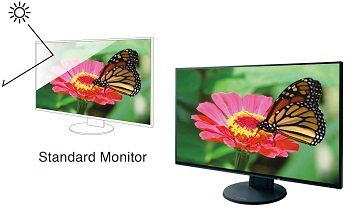 The monitor is equipped with three input terminals: DisplayPort, HDMI and DVI-D. It is also equipped with a DisplayPort 1.2 MST output for daisy chain use. Four USB 3.1 Type-A ports and a headphone jack are also installed for convenient connection with peripheral devices. A manufacturer’s 5-year warranty covers all components including the LCD panel* to ensure a long service life. This warranty is 2 years or 67% longer than the standard 3-year warranty of most monitor brands for significantly lower running costs. * Usage time is limited to 30,000 hours. 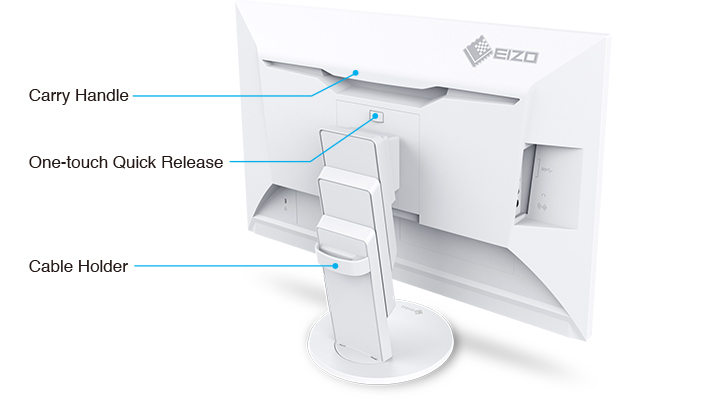 EIZO guarantees this product will be free from bright sub-pixels for six months. Meets the most stringent international labels for ergonomics and energy savings. Zero bright sub-pixels for six months from date of purchase.